Our TCS Summer School Program is a time and place of true scholé—restful learning. We are offering a variety of classes for PK-12 that are both academic boosters for students wanting to stay fresh on math facts and grammar conjugations or prep for the SAT, as well as classes to get outside to explore God's creation, learn to dance hula, re-create some architectural masterpieces, or compete in our Musical Olympics! Our Preschool, Kindergarten, and 1st Grade programs are specifically designed to prepare rising students to adjust smoothly into their next class. 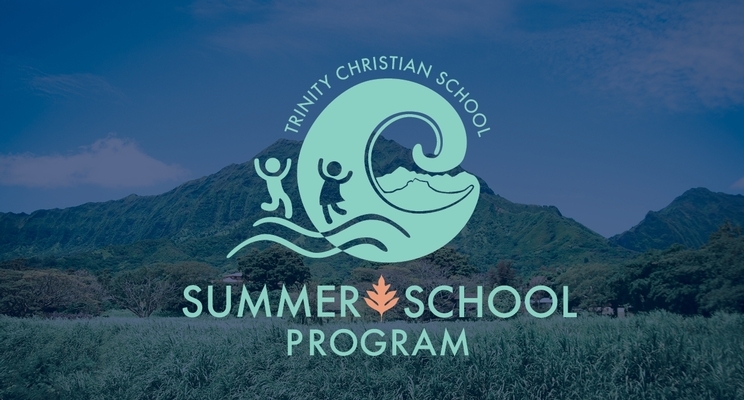 Registration for Trinity Christian School's Summer Program will be open as of March 1. On March 1, we will be accepting registration from our current Trinity families with students who will be enrolled in Kindergarten to 12th Grade in the Fall of 2019. On April 1 TCS Summer School registration will be open to the public. TCS Summer School Preschool registration opens on April 1 to all PK and JK students enrolled for the 2019-2020 school year. Download the registration form. Please note: Registration forms will be received, but not processed, until after April 1. Fill out the PDF form and save a version to your computer for each student. Print off the registration form or pick up a registration form in the school office. PLEASE NOTE: A $100 non-refundable, non-transferable deposit by cash or check is due at time of registration for families without a Trinity FACTS account. Registration will close on May 24, 2019. Please email Ben Moore with any questions regarding the Summer School program. Please note that all international summer students will need to show proof of immunizations, physical exam and TB testing, signed by a US licensed physician, before being admitted to school and classes.